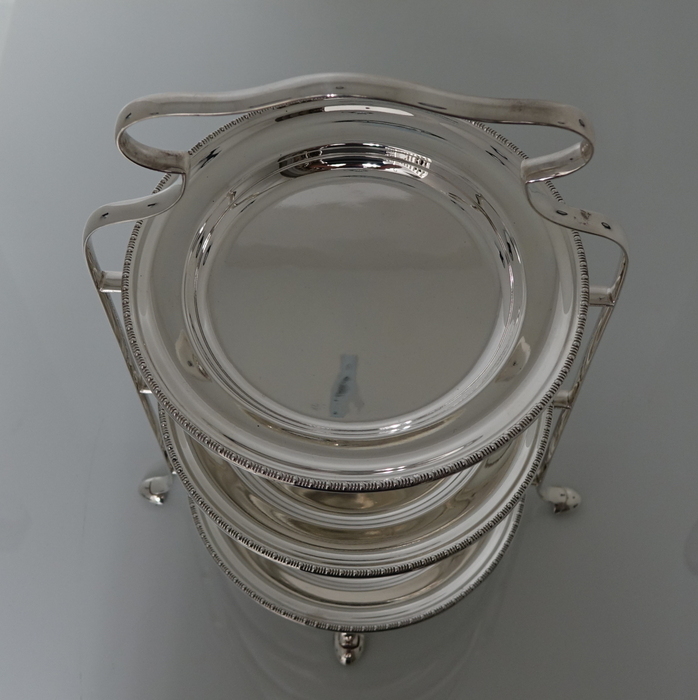 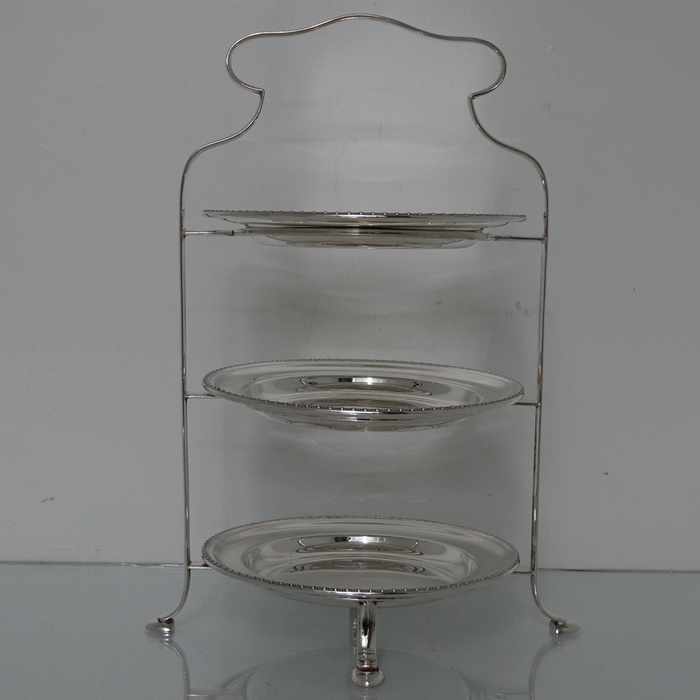 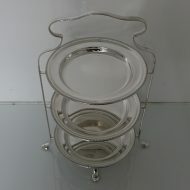 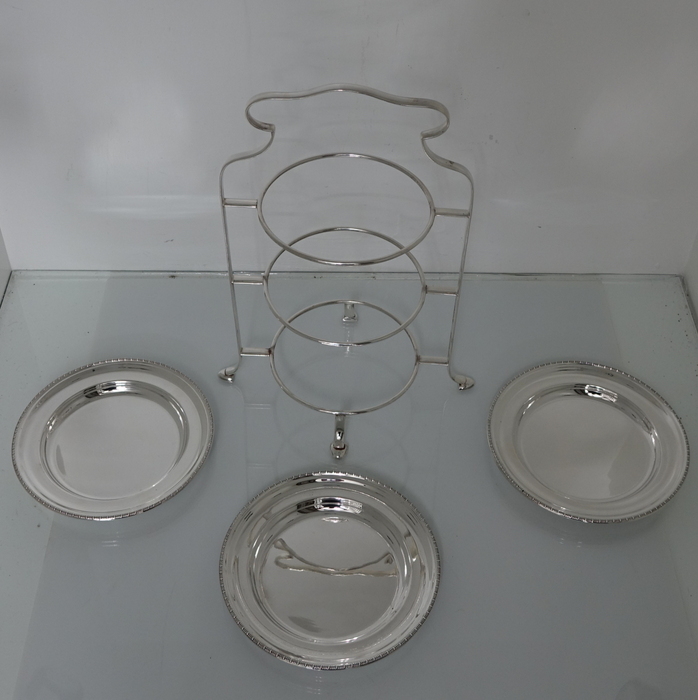 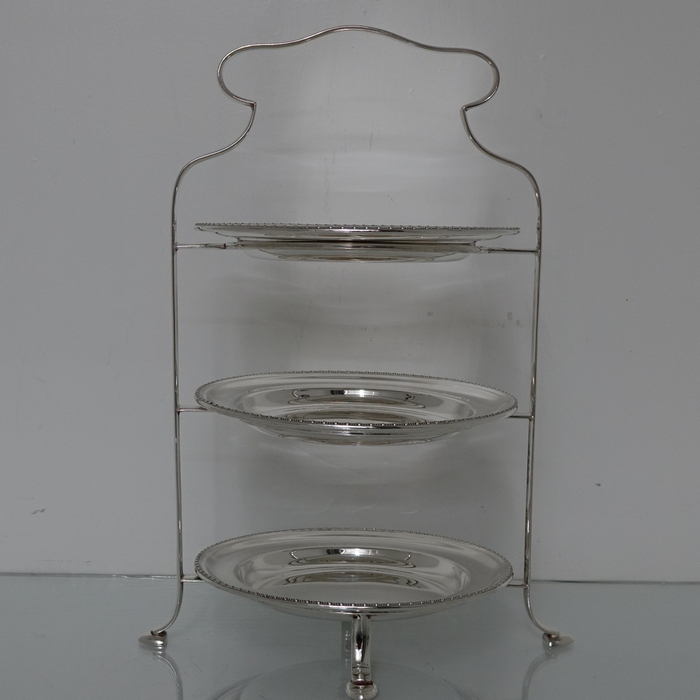 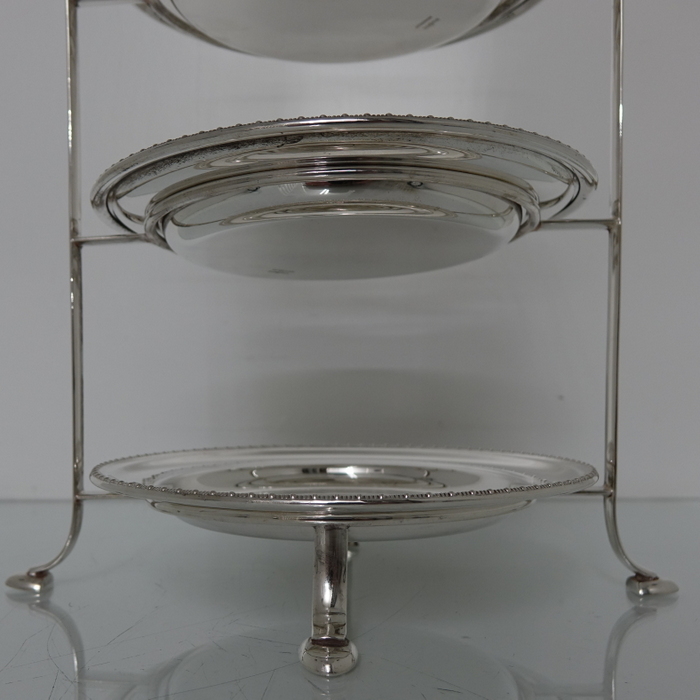 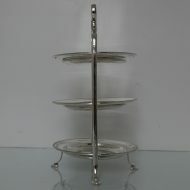 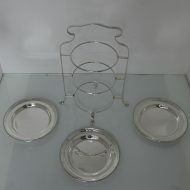 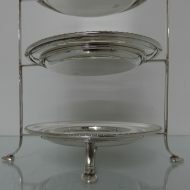 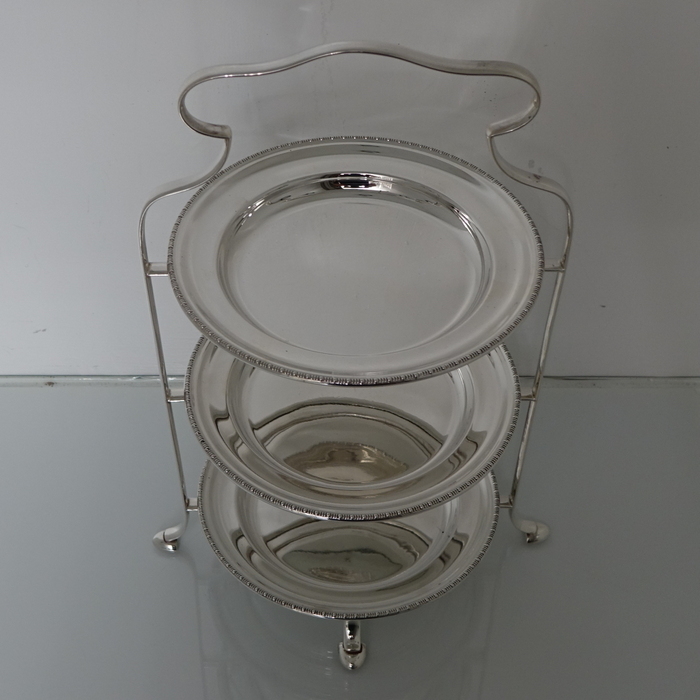 A highly collectable three tier cake stand. 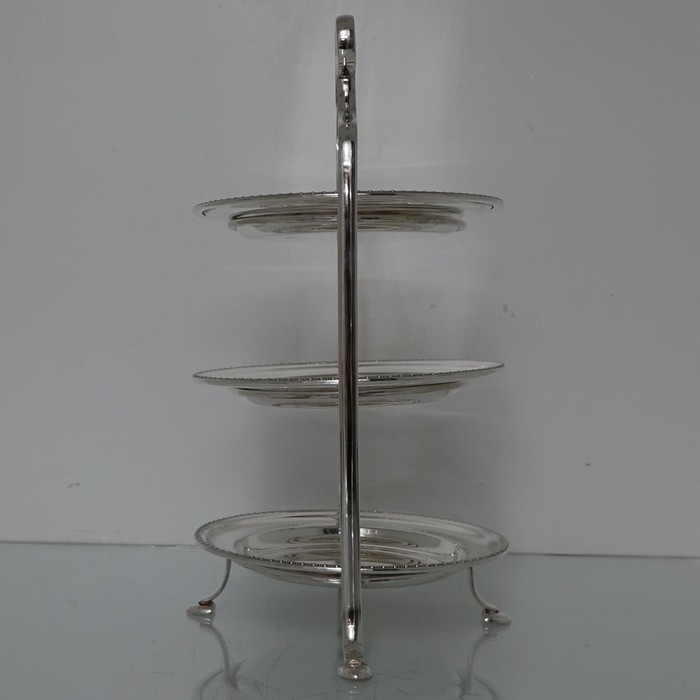 A highly collectable three tier cake stand. 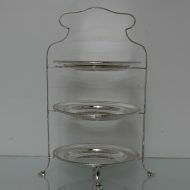 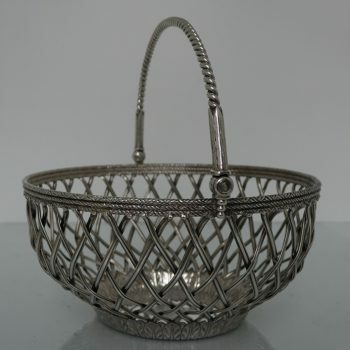 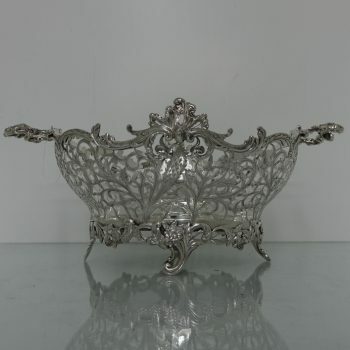 The frame of the cake stand is the stylish wire work design with four ornate hooved peg feet for lowlights. 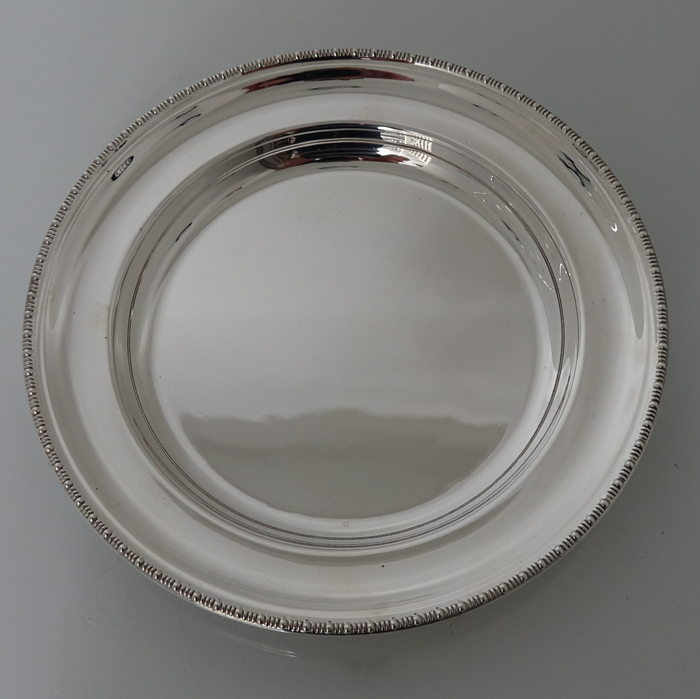 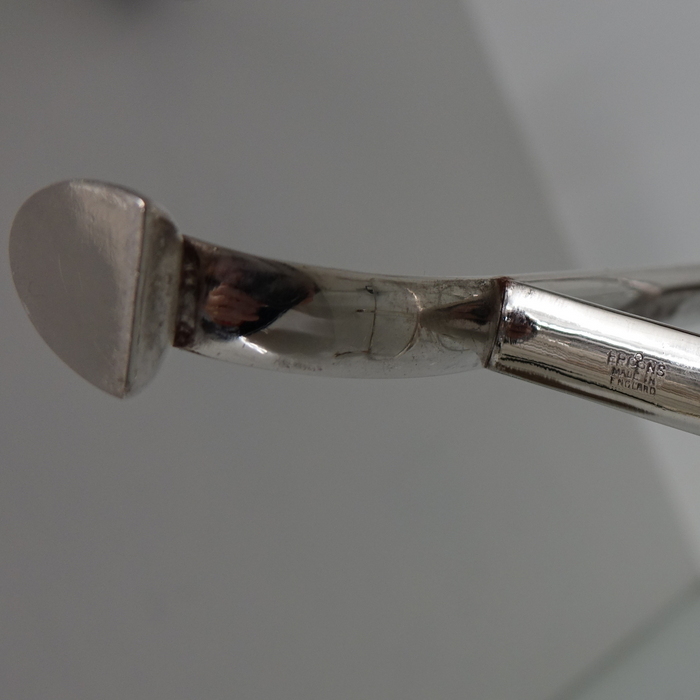 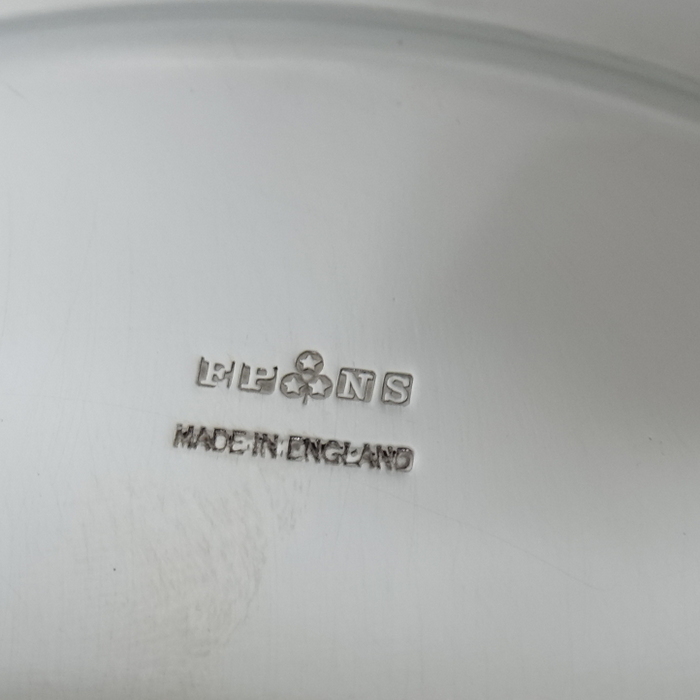 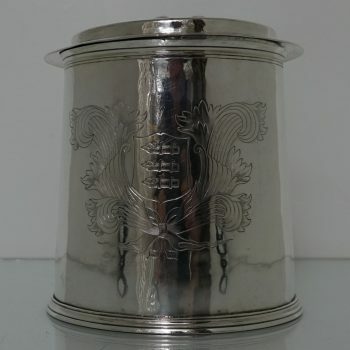 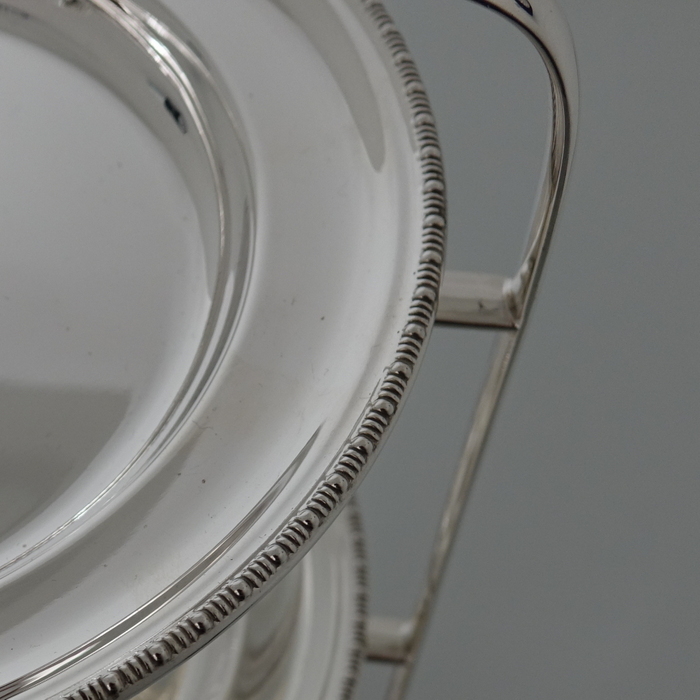 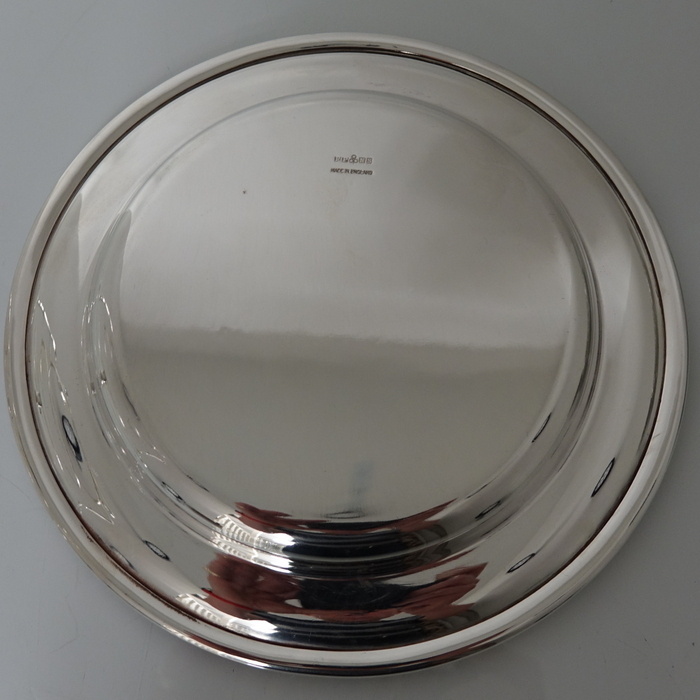 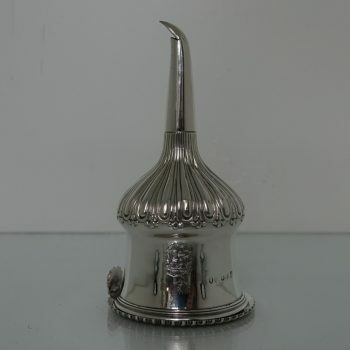 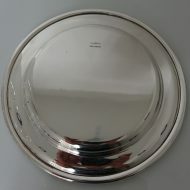 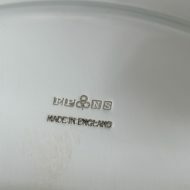 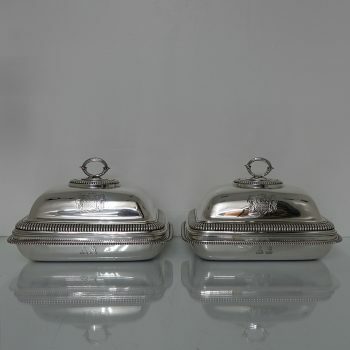 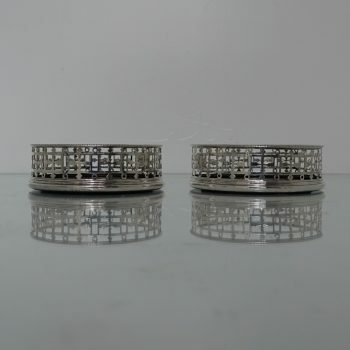 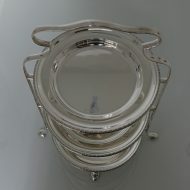 The circular dishes are detachable and plain formed in design which is typical of early 20th century modelling with a decorative applied border for highlights.